Financial Planning is a free public resource that provides online information and calculators to help families budget, use credit wisely, and save for college. The new interactive learning center was developed by EverFi. 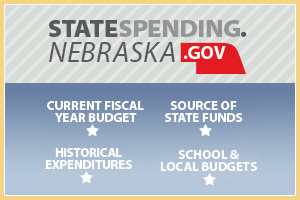 NEST 529 is a state-sponsored college savings program that provides significant tax benefits including tax-deferred earnings and a state tax deduction for Nebraska taxpayers. Scholarship opportunities are offered regularly. Visit NEST529.com to open an account. Sign up for the Treasurer’s e-newsletter delivered to your inbox three times a year.